Ducati has announced that two-time MotoGP champion Casey Stoner will not continue in his test rider role beyond the end of 2018. 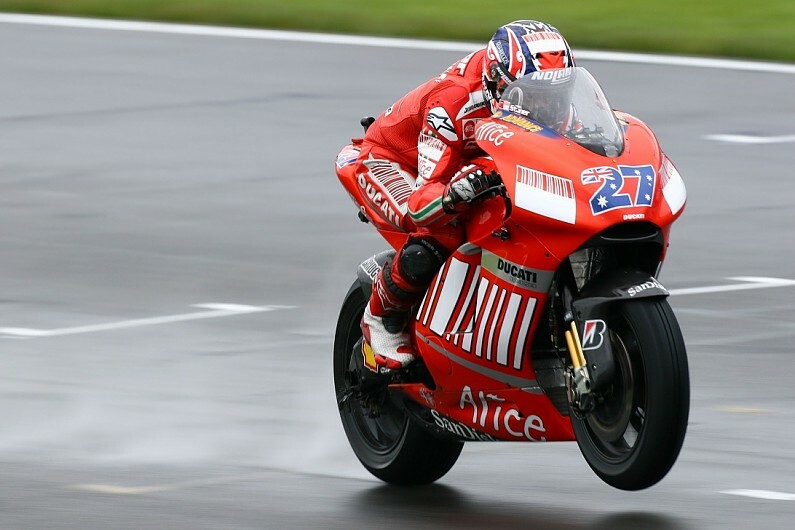 Autosport reported in August that Stoner had decided to end his association with Ducati, with which he had won his first premier class crown in 2007. Stoner rejoined Ducati in retirement as a tester and brand ambassador after leaving a similar role at Honda, performing development work on the Desmosedici bike. But he has not ridden this year's GP18 bike since January's preliminary pre-season test at Sepang as he has been recovering from an operation on his right shoulder. Stoner's agreement with Ducati was for three years and on Tuesday it was officially confirmed it will not be renewed. "I want to thank Ducati for the great memories and especially the support and enthusiasm of the Ducati fans for our shared passion for racing and motorcycling, I'll always remember this," said the 33-year-old. "Over the past three years I have really enjoyed doing my job with the test team, the engineers and technicians, as we worked towards improving the Desmosedici GP package and I sincerely want to wish the team all the very best for their future endeavours." Ducati CEO Claudio Domenicali added: "Casey is and will always remain in the hearts of Ducatisti and it is also on their behalf that we wish to thank him for the important collaboration he has offered us over the last three years. "His technical indications and suggestions, together with the work and the feedback of the factory riders and Michele Pirro, have helped to make the Desmosedici GP one of the most competitive bikes on the grid, and his advice for the development of our production bikes has been just as precious and useful. "Ducati and its many fans wish to offer their sincere thanks and their best wishes to Casey and his family for a serene and happy future." Stoner took 23 of his 38 MotoGP wins while racing for Ducati from 2007-10. He then moved to Honda, where he won another title at the first attempt before his shock retirement from racing at the end of 2012.